If you’ve been meaning to try Audible, here’s the only excuse you need. 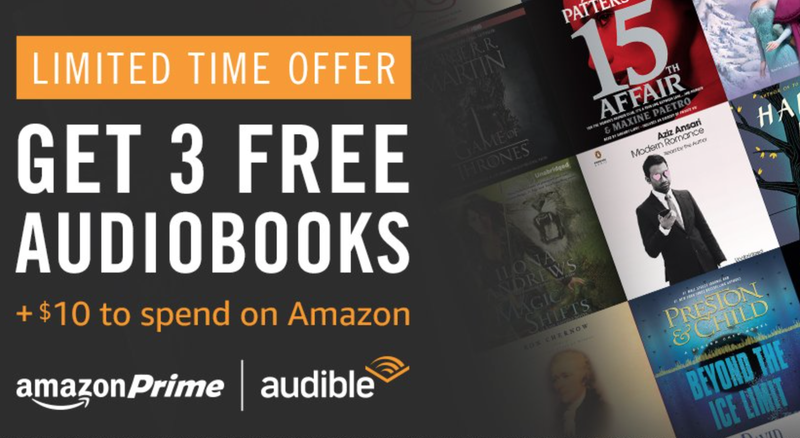 For a limited time, Prime members can get a three month free trial (up from the usual one month), plus a $10 Amazon credit just for signing up. Note: This is only available for first-time Audible members. 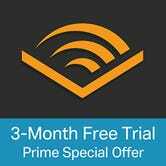 During the trial, you’ll get one book credit per month to use on any of Audible’s 180,000 titles. Even if you cancel your trial later on, those books are yours to keep. And if you do stay a member, you’ll be charged $15 per month for a single book credit. But hey, even if you have zero intention of becoming a paying member, or even using your three book credits, this is basically $10 for free.